Lock in a great price for Howard Villa – rated 8.9 by recent guests! The villa was beautiful and we really enjoyed the small pool and outdoor shower and tub. The staff were very friendly and helpful and the small beach at the hotel is lovely. We also really appreciated the free shuttle back to Kaohsiung. Excellent service! we stayed at one of the villas. we had a spacious bedroom and a little garden with hot tub and a small private pool. Staff was very kind. The villa area looks newer than the rest of the hotel, which is a little bit tired. But the common pool is very good and cleaned daily. The little beach in front of the hotel is also nice, but can get crowded at weekends. I had heard many bad things about Kenting and its hotels but we were actually positively surprised. Location is good. Walking distance to the night market . Walk outside the hotel is the bus station. The staff is friendly and helpful . It was the perfect size for whole family. Staff was amazing took care of any need we had. Location was great near night market and easy walk through tunnel to beach. There's entertainment center in the hotel including fitness facilities, reading tables, table tennis, billiards, massage chairs for adults, and kids park and video game machines for children. Also they have bicycles rental for free to Villa guests! And the staff are very nice and helpful for tour planning! 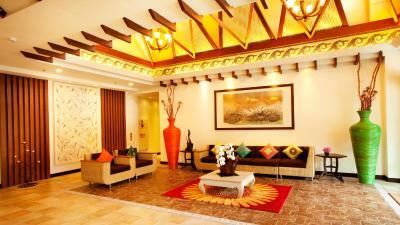 The room was spacious and staff was professional and helpful. The activities included in the room rate were fantastic. We were also offered 2 options of breakfast, a buffet breakfast with other hotel guest or a set breakfast in the villa lounge with other villa guests & our pets. The swimming pool in the pretty garden was a wonderful memory to my daughter. The staff kindly added hot water to warm up the low water temperature and we all enjoyed a lot. The tunnel to the clean white sand beach was a great plus! We knew there was a private pool, but when we walked into the room and looked into the garden and private pool area, we both WOWed as it is so beautifully done. It was so lovely having a private pool. After a long day of touring the countryside, it was so nice taking a dip in the pool with a glass of wine and relax. The design of the patio is fantastic. The lobby for the Howard Villa is also very quiet and serene. The employees are fantastic and kind. They go above and beyond. This is my second stay at the Villas at Howard in Kenting and I've stayed in two different villas they offer so far. Both were similar but different. Both have comfortable beds, great strong showers, a second outdoor set of bathroom/shower, hot tubs and pools that are heated. 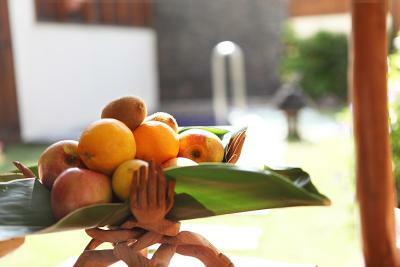 Outside areas are private, so is parking specific to the villas. Nice room with a small private garden with outside hot tub, small pool and shower. Great for relaxing. Howard Villa is part of bigger Resort complex with all kind of facilities like swimming pool, restaurants, kids games, animation etc. Other side of road is a nice sand beach with beach bar. And in the evening you can walk in 2 minutes to the night market for fantastic food and drinks. Access to beach, hot tubs and pools, our little garden. Howard Villa This rating is a reflection of how the property compares to the industry standard when it comes to price, facilities and services available. It's based on a self-evaluation by the property. Use this rating to help choose your stay! One of our top picks in Kenting.About a 2-minute walk from the beach, Howard Villa features Balinese-style villas with luxurious bedrooms, outdoor spa bathtubs and their own wading pool. 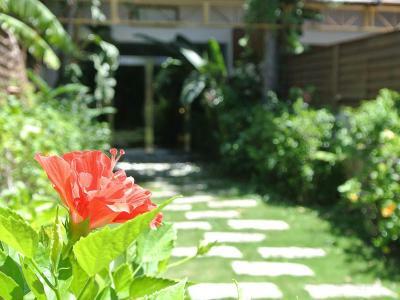 Located by the beach side of Kenting, the villa provides free Wi-Fi and airport shuttle from Hengchun Airport. 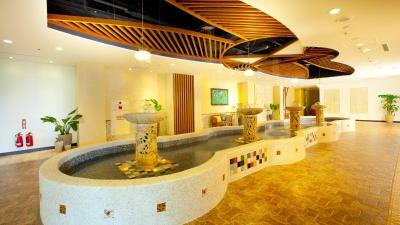 Howard Villa is a 30-minute drive from the Hengchun Old Town. Kaohsiung International Airport is a 2.5-hour drive away. A tropical ambiance greets guests in each spacious villa, which has its own electronically controlled private entrance, living and dining areas. Sea views can be enjoyed from the private balcony. A flat-screen cable TV and refrigerator are provided. Private bathrooms come with separate shower and bath facilities and free toiletries. 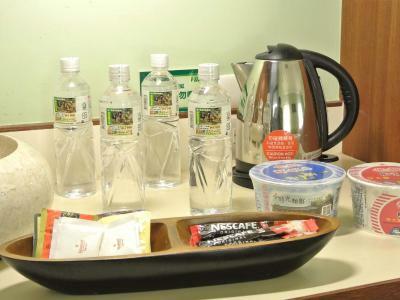 Bottled water, coffee and tea bags are provided. 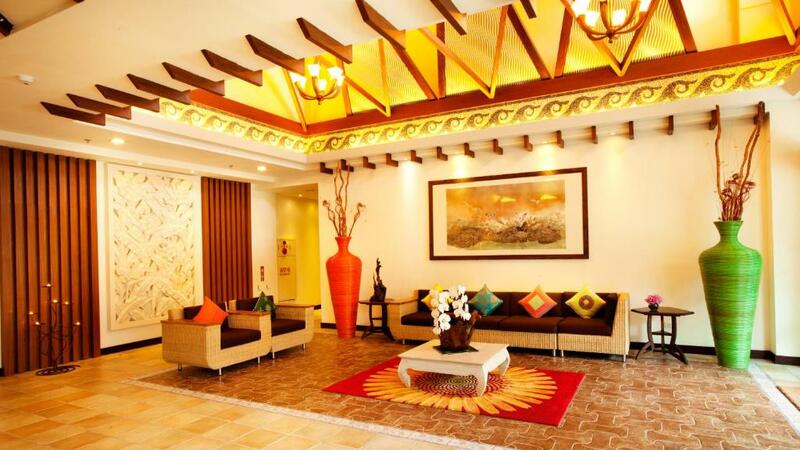 Recreation facilities include a fitness center and tennis court. Guests have their own personal parking area and access to the beach via a tunnel. A buffet breakfast is served at the villa’s restaurant and lounge. 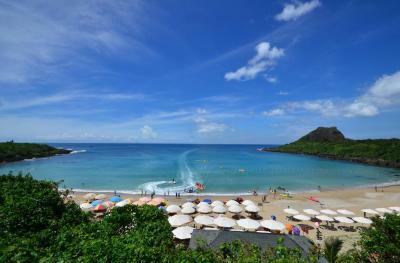 Located nearby is Kenting Main Street, where local food and restaurants are available. 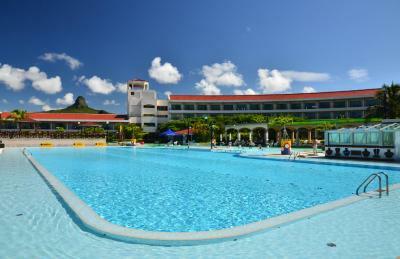 This property also has one of the top-rated locations in Kenting! Guests are happier about it compared to other properties in the area. This property is also rated for the best value in Kenting! Guests are getting more for their money when compared to other properties in this city. When would you like to stay at Howard Villa? One-Bedroom Villa features an outdoor spa bath and wading pool. Spacious villa includes living and dining areas. A flat-screen cable TV and refrigerator are provided. Guests have free access to a lounge, where free food and beverages are served. Two-Bedroom Villa features an outdoor spa bath and wading pool. Spacious villa includes living and dining areas. A flat-screen cable TV and refrigerator are provided. Guests have free access to a lounge, where free food and beverages are served. House Rules Howard Villa takes special requests – add in the next step! All children under 12 years are charged TWD 1100 per night for extra beds. Any additional older children or adults are charged TWD 1100 per night for extra beds. Howard Villa accepts these cards and reserves the right to temporarily hold an amount prior to arrival. 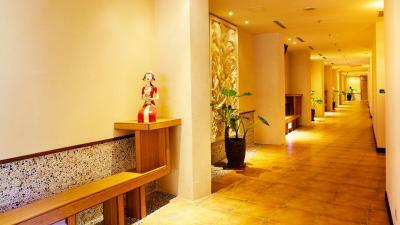 Free access to VIP lounge is offered to guests who stay in this property. The sitting area of the room is not comfortable. Did not like the chairs at all. The bathroom has a weird colorful plastic chair and laundry bin which is completely mismatched to the rest of the room. Couch and chairs in room not too comfortable. Pool was great but jets did not work. Close to beach and night market. Room was great! The facilities at the neighboring property, which is shared by the villas, are a bit dated and depressing. However, the villas are distinctly separate with their own pools, so it really wasn’t an issue for us. food at the hotel restaurant is quite bad. Our plunge pool would not stay full but staff was always willing to fill so not to big of a deal. They also compensated us by giving us free dinner so even though plunge pool had issue hotel took care of us. A bit chaotic design of building. Missed a good map of the hotel to find all the facilities. The resort feels a bit outdated, nevertheless everything worked well and was clean. Food in the main hotel restaurant was not the best, but local completion is fierce. The showering room door can't be closed, so the water wet the floor and mat. Howard Villa is part of a big and terrible hotel complex. The breakfast is awful, the quality of the products is really very bad. The staff does not speak very well english but it is enough for the basic things. I loved the villa, the private swimming pool and jacuzzi are really a dream come true. And as soon as we got out of the room in the morning, it was immediately cleaned, perfect cleaning service. The location is great. You have not only access to the Little Bay Beach trough a tunnel from the hotel, but also to the Kenting night market (30 seconds walking) but you don´t hear a thing. Peaceful.